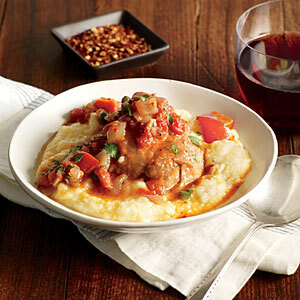 Slow Cooker recipes are one of my favorite kinds but when I saw the picture of a juicy piece of chicken atop some yummy polenta, covered with a “tomatoey type sauce” (my new word :-), I knew this was my kind of recipe! Featured in the March 2014 issue of Cooking Light Magazine, this one is a winner and I only made a few small changes. First, this recipe served 8, which was too much for us so I rewrote the recipe to make only 4 servings. That is the version I have included here but the link at the bottom of the page is the original recipe if you need additional servings. This recipe is super easy and the only real change needed is to season the flour before browning. I simply added a tsp each of salt, pepper, and onion powder to my flour before dredging the chicken. I think it would have been very bland tasting had this not been done. 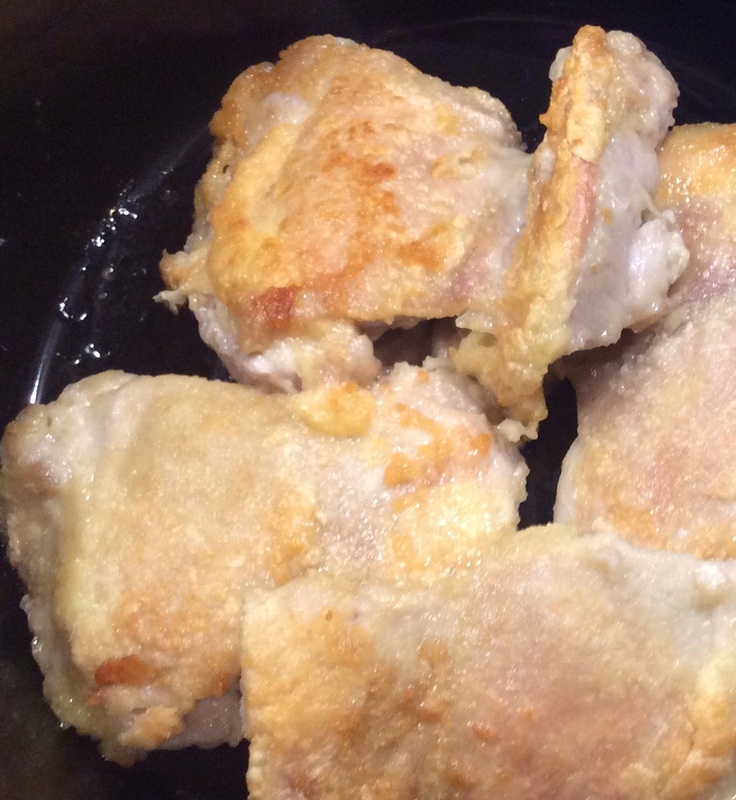 Place flour and seasonings in a shallow dish, mixing well; dredge chicken in flour, shaking off excess. Heat a large skillet over medium-high heat. Add oil; swirl. Add chicken; cook 4 minutes on each side or until browned. 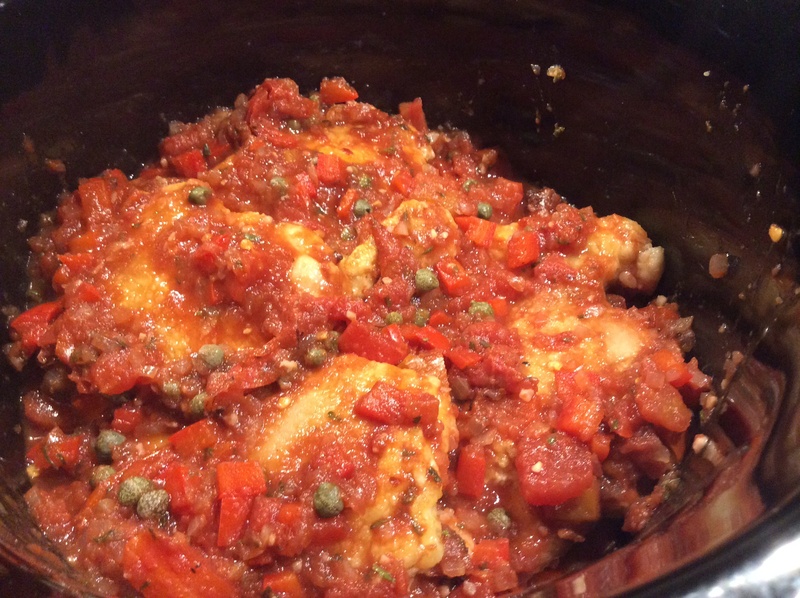 Place chicken in a 6-quart electric slow cooker. Reduce heat to medium. 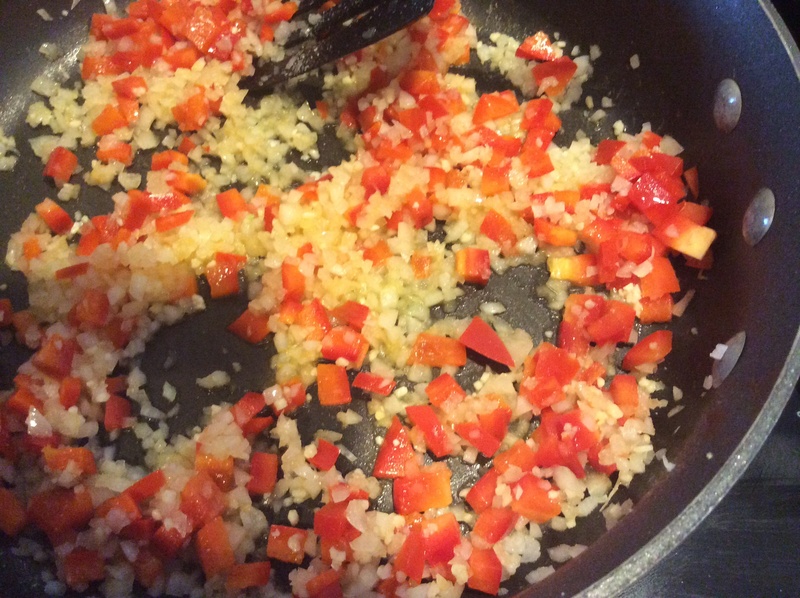 Add onion, bell pepper, and garlic; sauté 4 minutes. Add wine; bring to a boil. Simmer 2 minutes. 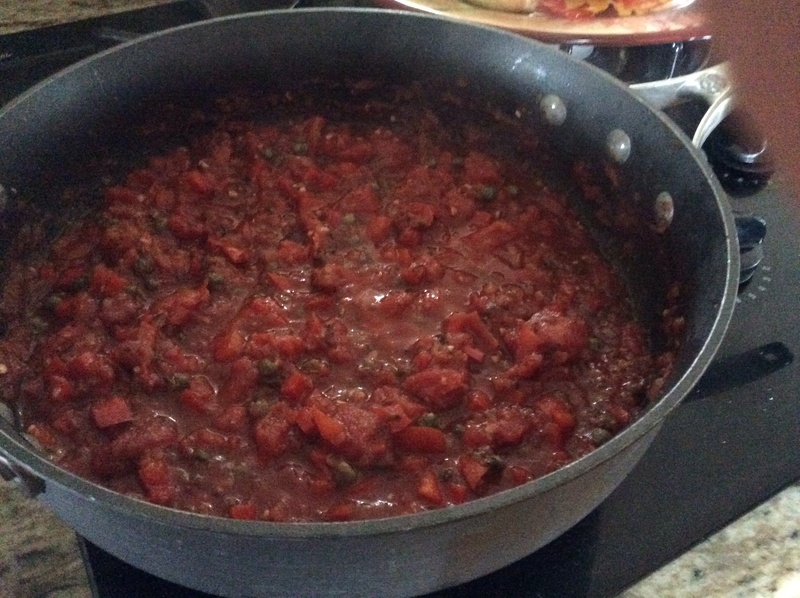 Add bell pepper mixture, tomato puree, and next 6 ingredients (through diced tomatoes) to pan, mixing well. Cover and cook on LOW for 4 hours or until chicken is tender. (Mine was perfect after 3 hours so I kept it on warm the last hour.) Sprinkle with parsley (if desired). 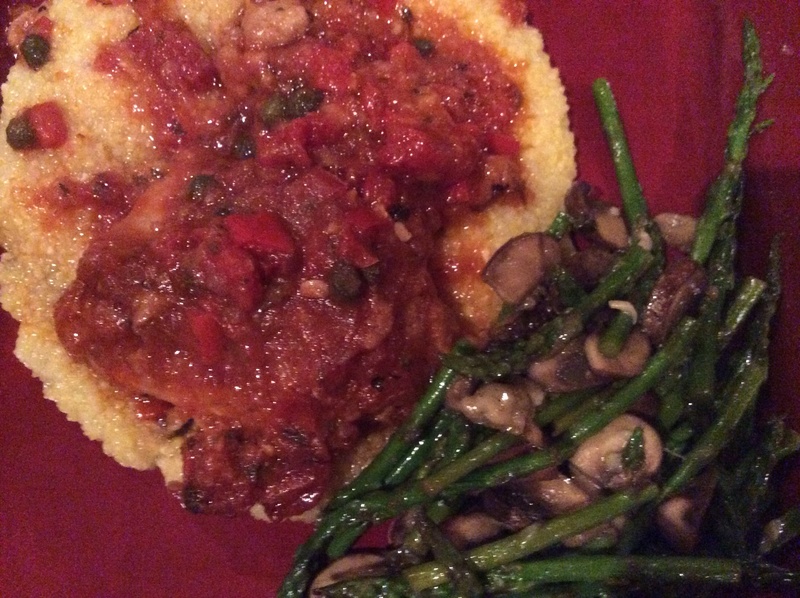 I served this over polenta (it would also be great over rice) and a side of sauteed baby asparagus & mushrooms. Bottom Line: Delicious and I will be making this again! Jeff loved it and the combination of flavors was just perfect. A definite keeper and one that is not only good enough for the family but company, too! Everyone one will be impressed with this recipe that looks so complex but so easy!